A major case to recently come out of the Maine Supreme Court could have implications for foreclosure defense cases all over the country: In September, the Maine Supreme Court ruled that the mortgage company was barred from bringing another foreclosure lawsuit against the homeowners after the lower court dismissed the lawsuit. 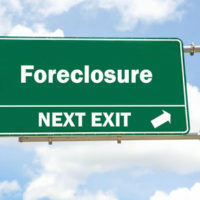 The ruling is projected to have a major impact on other foreclosure cases, and arguably allow more foreclosure defense attorneys to appeal various foreclosure cases, as well as file quiet title actions to assert that the homeowners—not the former mortgage holders—are the proper owners of the properties. As in other states, Florida requires lenders to file foreclosure cases in court, giving borrowers the chance to challenge the legality of the foreclosure. Florida also provides mediation programs for lenders and borrowers in foreclosure. However, typically, if the borrower loses the case, the court can enter a judgment of foreclosure and the property can be used to satisfy the debt. In 2013, Florida passed legislation allowing for expedited foreclosures, thus giving borrowers less time in general to come up with the funds to stop the foreclosure. In addition, national mortgage servicers frequently act in bad faith in terms of forcing homeowners into default using improper means and luring homeowners to foreclosure rather than modify loans through various incentives. As a result, cases like these can help provide parameters for what lenders can and cannot do. In this particular case, the loan servicer agreed to provide the homeowners with a temporary repayment plan. However, in spite of the homeowners complying with this plan, they still received default notices, which led to mysterious charges appearing on their statements. After more than three years of this, the family was in default and had accrued thousands of dollars in fees. The District Court Judge dismissed the case with prejudice. However, due to various mortgage businesses going out of business and other servicers taking over the loan (which is common), the resulting ambiguity opened up the family to continually receiving bills from servicers, including all of the fees that had already been successfully disputed in court. The family also started receiving multiple threats of foreclosure and inspectors employed by mortgage servicers, and thus had to abandon their own house. Their credit has also been destroyed as a result of the ordeal. However, thanks to the court ruling, when there has been an adjudication on the merits which barred future actions, it is irrelevant if a loan is sold and resold, or transferred multiple times. The decision is expected to help prevent future foreclosure abuse. Your home likely represents your most valuable possession. If you are dealing with a lender who wants to foreclose, it is entirely possible that the lender did not follow the law. Contact one of our foreclosure defense attorneys at Moran, Sanchy & Associates today to find out what your options are. We can help ease your mind if you are dealing with default or foreclosure.